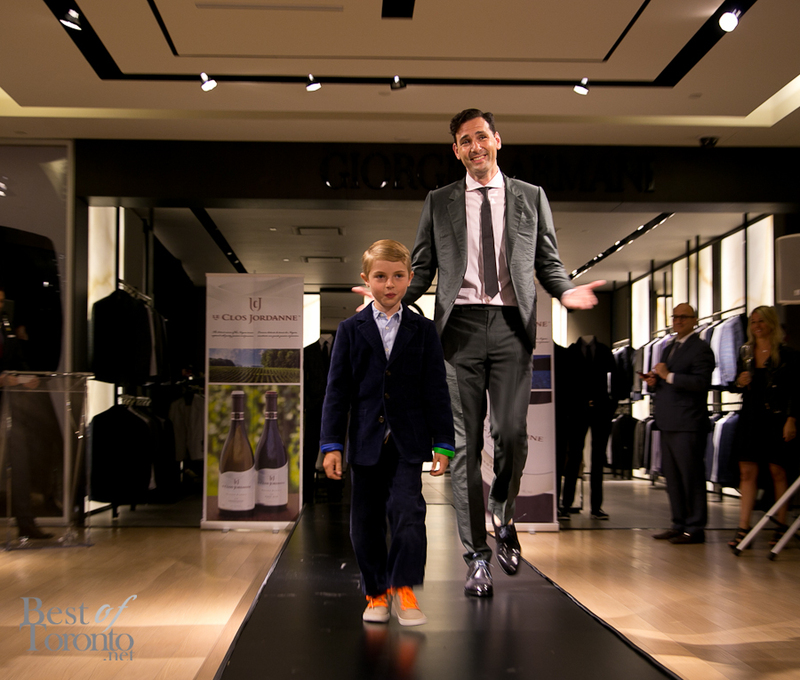 It was a great night at the Harry Rosen store in Yorkville with wine tastings from Le Clos Jordanne, a Canadian boutique Burgundian-style winery, that also held a tasting last year at the menswear store. But this year was even better with the addition of the fashion show inspired by Father’s Day entitled “Top of the Pops”. It was probably the quickest fashion show I’ve ever witnessed at what seemed like a whirlwind of 5 minutes. These guys are all about efficiency. 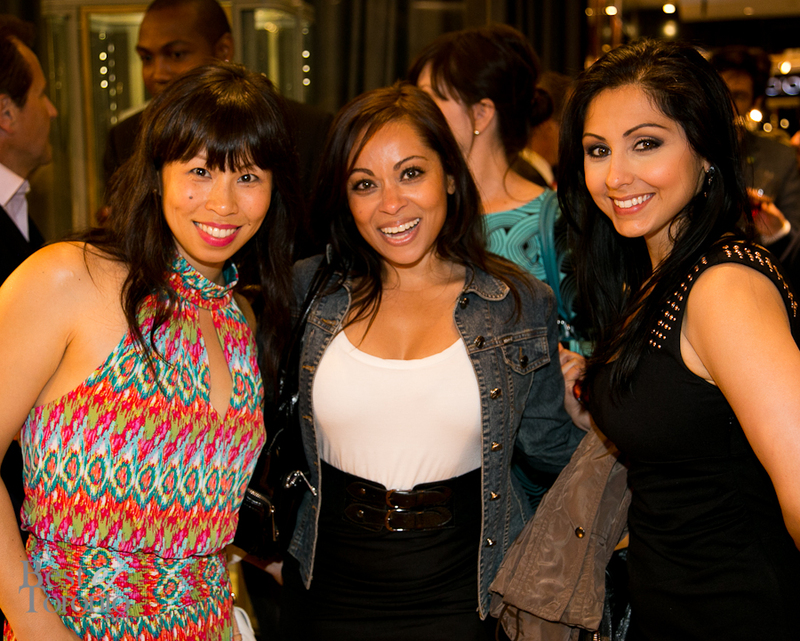 But it was a fun-filled evening with mingling and activities including “man-icures” by Bode Spa, shoe shines by EF Walter, and appetizers by Eatertainment. 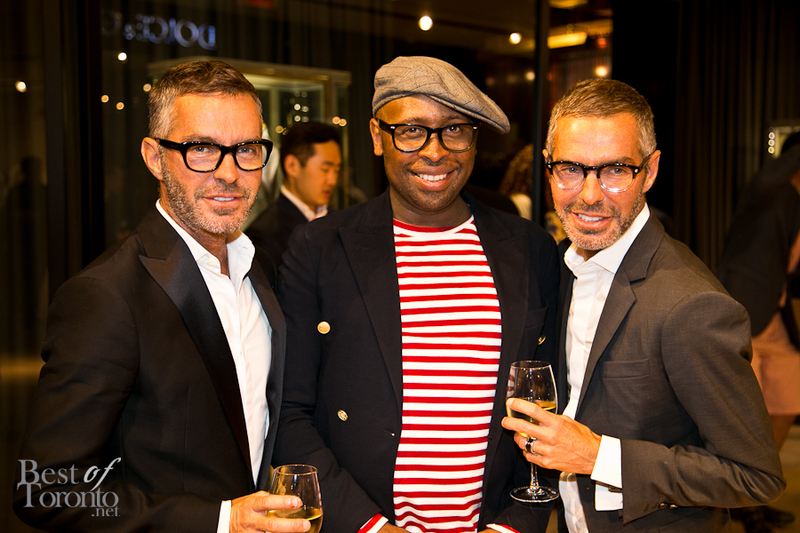 Then guests got excited when Kirk Pickersgill from Greta Constantine arrived with Dan and Dean Caten, the celebrity Canadian designing duo, DSquared. Photo ops all around!